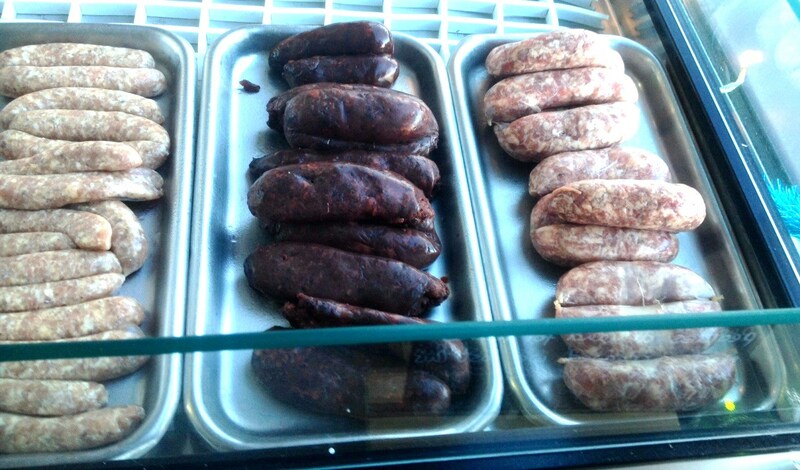 Last month we first met Allwood & Son’s at the Nottingham StrEAT Event in the Nottingham Lace Market where we purchased some excellent sausages and black pudding. It was so good, and we were so impressed with their stall, that we had already set out our stall to head over to New Ollerton to seek out the source of the goods and to visit their butchers shop as soon as we had a chance. This weekend we kept that personal promise to ourselves, driving the 20 odd miles just to see if we could get our hands on some more of their sausage. Are we crazy? No of course not, when you have tasted their sausage you will understand that we just had no choice and that is was just something that had to be done. When we arrived it was getting close to the end of the day, but luckily there was still plenty of sausage left on the counter. 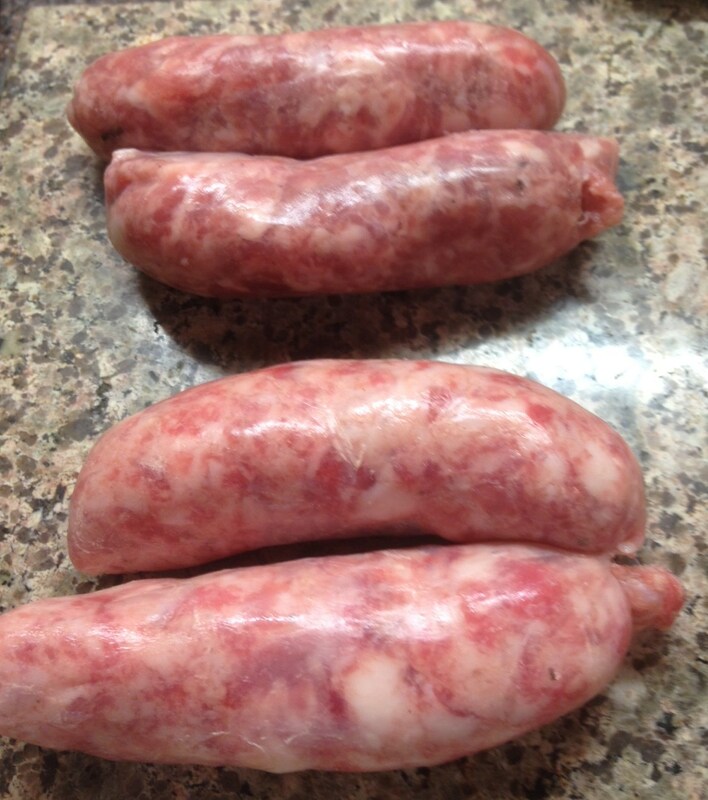 What I really wanted was more of the Mangalitsa Sausages and they had some available. I was slightly concerned as on their website they suggested that due to its popularity that there might be some sort of waiting list situation, and as it was just after the Christmas holiday I wasn’t sure if I would get my hands on any. It was all going to be fine they had plenty sitting there waiting for us. 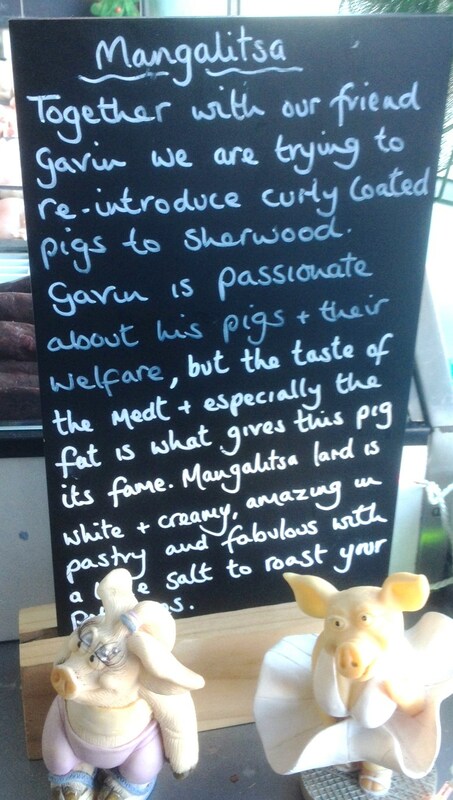 Their own description of the sausage from the British Sausage week awards 2013 where it received a bronze award was “Made using Sherwood Mangalitsa pork this rare breed pig produces a mild flavoured sausage with a unique meat flavour which we enhance with seasoning.”. On the board inside the shop they talk about the meat from the Mangalitsa Pig having a high fat content (the good kind) and it is that fat which gives a rich and creamy flavor. If you look at the sausage you can see those small white chunks of fat in amongst the pork meat. 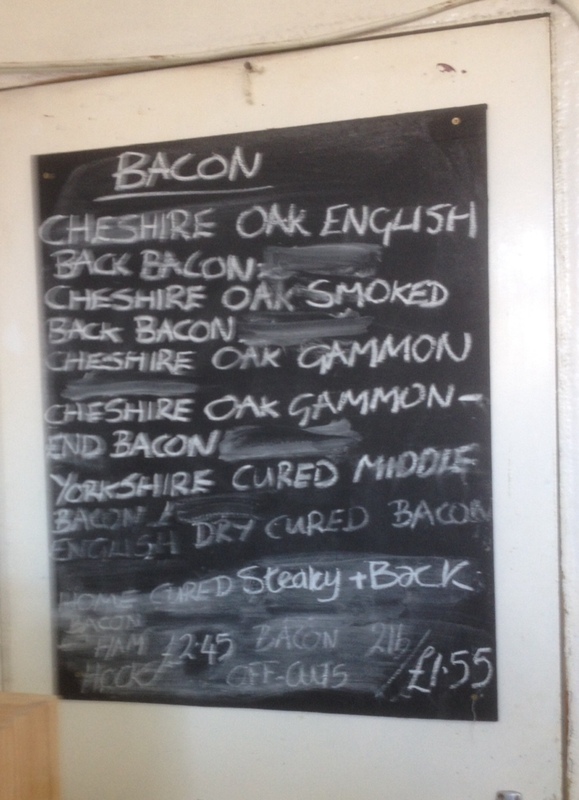 Anyhow what else was available at Allwood and Sons on this fine day? 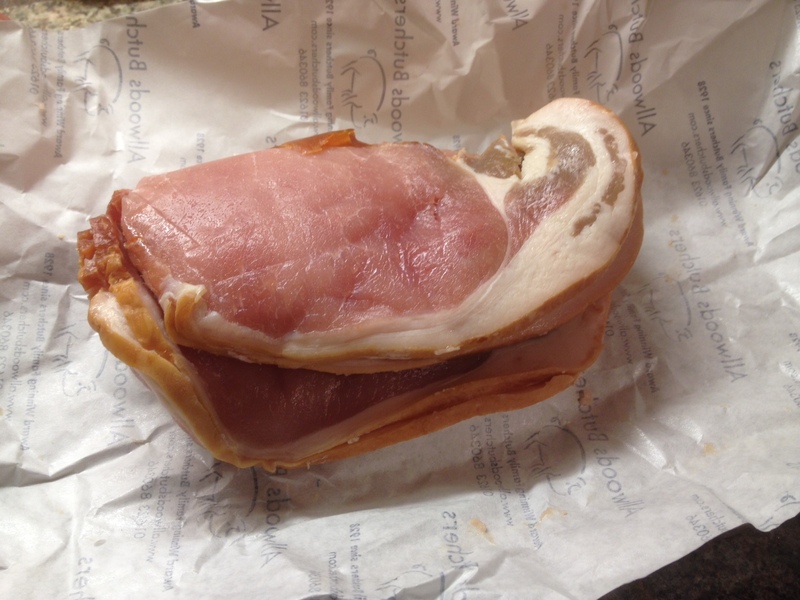 I am always on the look out for decent quality Smoked bacon and usually I am quite keen on the streaky bacon, but they had none left so I got a pound of the Smoked Back Bacon instead and I am glad that I did. We had it for breakfast this morning and it is really very good. It is cut quite thickly has a good rind and a well smoked flavor and smell. The sort that stays on your fingers and makes you popular with the dog and cat. 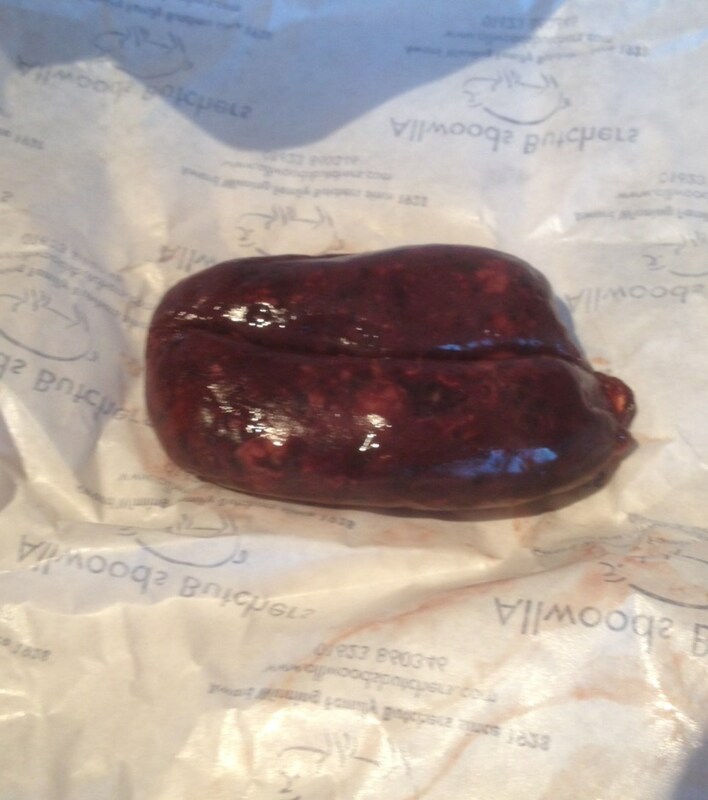 In addition to buying the Allwood Original sausage and the Mangalista sausage, we bought a couple of the pork and black pudding sausages to try, I think that they call them Black Forest (no relation to the gateaux). We tried these this morning for breakfast as well and they were quite a revelation. The meat is a bit more crumbly, but the flavor is something else, creamy and rich, it almost has a red wine based flavor. I like their black pudding already but this black pudding pork sausage hybrid on the encased meat genre is a worthy addition to the breakfast table. 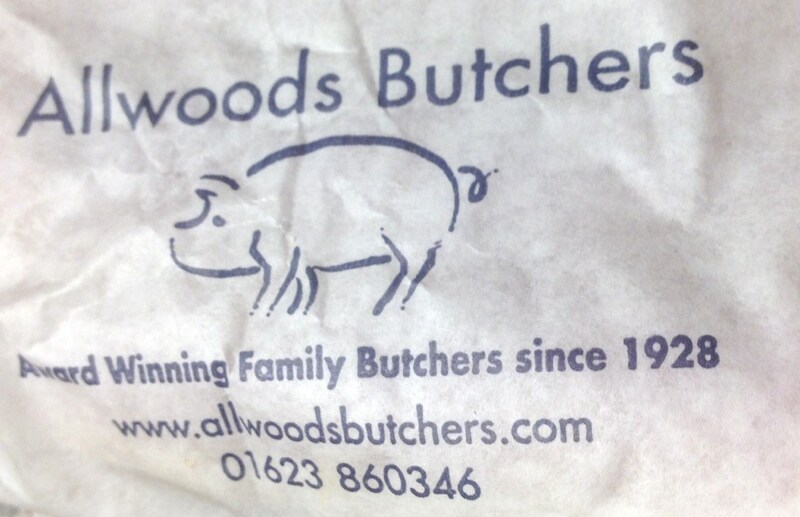 There is a lot to like about Allwood and Sons Butchers. They are really friendly in there, you can see that the meat is of real quality and everything that we have bought so far has been top notch and really tasty. I just need to find more excuses now to drive that way over towards New Ollerton. Perhaps I need a trip to see these pigs roaming through Sherwood Forest to complete the picture. Maybe if I do I will be sure to let you know about it! 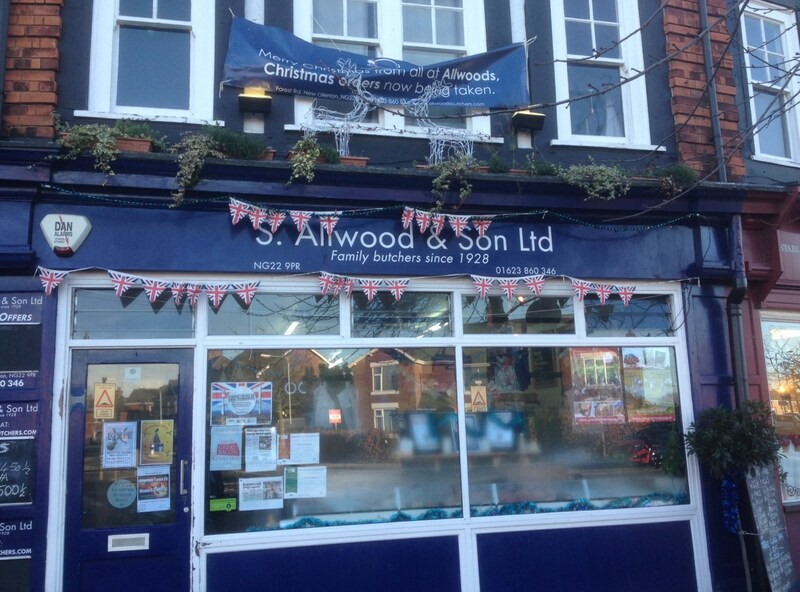 Allwood and Sons is located on Forest Road, New Ollerton in Nottinghamshire, you can locate them on the map here, follow them on Twitter and check them out through Facebook too. You can even meet them the old fashioned way by walking into the shop which makes it much easier to buy the meat, bacon, and sausages as well.